If you’re looking for somewhere to study English in the UK this July or August, why not look a bit further afield than London? England might not be well-known for its beaches, but the country actually boasts some amazing coastal scenery. Here are 5 English beach towns for studying English in this summer. St Ives. Image by Chris Downer, licensed under CC 2.2. 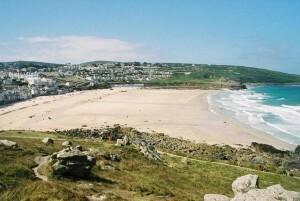 Boasting not one but four sandy beaches, the seaside resort of St Ives on the Atlantic Coast of Cornwall draws not only tourists from around the country and English students from around the world, but also surfers, windsurfers and water-skiers, making it ideal for anyone who wants to divide their time between the classroom and the sea. Set in breathtaking coastal scenery, and enjoying a mild sub-tropical climate, this former fishing village has a packed calendar of events throughout the year, from February Feast Day to the St Ives September Festival. Having been home to many prominent British artists, the town is also the artistic centre of south-western England, and there are lots of galleries and museums showcasing its rich cultural heritage. Only 45 minutes by train from London, this bustling colourful south coast town has no shortage of English language schools and one of the most famous beaches in the country, where live concerts are often held, as well as such attractions as the Brighton Pavilion, Brighton Pier, and the Lanes, a picturesque maze of cobbled streets and specialist shops and cafes right in the heart of town. Students from all over the world flock to what could easily be described as London’s cooler, younger sibling, making the town one of the most cosmopolitan in the whole UK. There’s no end of things to do outside of class, including a thriving nightlife, a lively theatre scene, the Brighton Festival of arts, and the Great Escape music festival. Brighton is also known as the “gay capital of the south”, with Brighton Pride being one of the country’s best known and most popular LGTB events of the year. 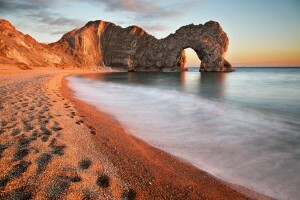 Durdle Door, part of England’s Jurassic Coast. Image by midlander1231, licensed under CC 2.2. One of the most popular destinations for English language students in the UK, Bournemouth is a large, bustling south coast town that boasts 12km of soft sandy beaches stretching along the south coast of England. The busy town centre is great for shopping and boasts a lively nightlife of bars, pubs and clubs. It’s also a great place to learn surfing as well, with a number of schools offering classes for everyone from complete beginner onwards. From Bournemouth you can also make lots of easy day trips, including along the Jurassic Coast or inland to Stonehenge. The town is even served by its own airport. Birthplace of crime-writer Agatha Christie and home to ‘Fawlty Towers’, Britain’s most famous fictional hotel, this gorgeous seaside town is known as the ‘Queen of the English Riviera’, a 35-kilometre stretch of stunning coastline in South Devon, full of sandy beaches, rocky coves, secluded beauty spots and pretty harbours. Torquay itself boasts a number of lovely beaches, including Meadfoot Beach and Oddicombe Beach. 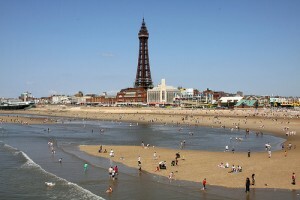 Boasting a landmark tower inspired by the Eiffel Tower and three pleasure piers, Blackpool is the UK’s most popular seaside resort and, with visitors from all over, a great place to study English, especially given the friendliness that northerners are famous for. Blackpool Pleasure Beach amusement park is the most visited attraction in the UK, and the dazzling Blackpool Illuminations that light up the 11 km of seafront attract thousands of visitors every summer. Within easy reach are Liverpool and Manchester, both exciting cities in their own right, as well as the Lake District, a stunningly beautiful area of mountains, valleys, lakes and picturesque towns and villages. 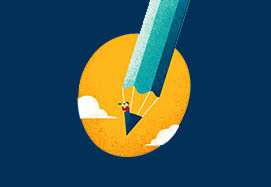 This entry was posted in English language, Teaching Adults, Teaching Teens and tagged Travel, UK by Daniel Vincent. Bookmark the permalink.